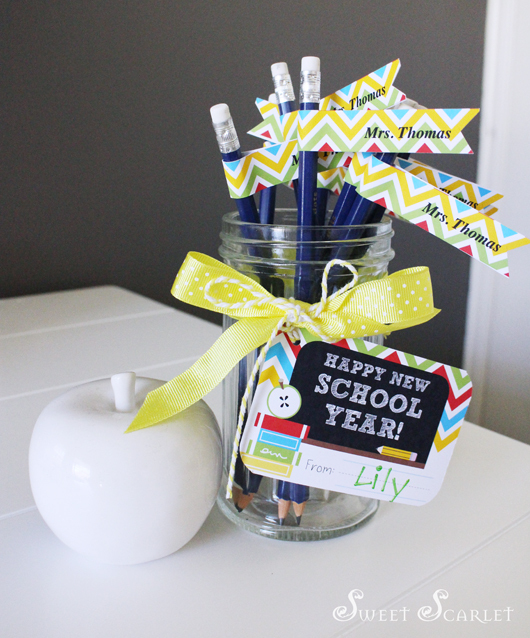 Here is a free Printable for all those heading back to school or starting school for the first time – a pretty and practical teacher's gift. 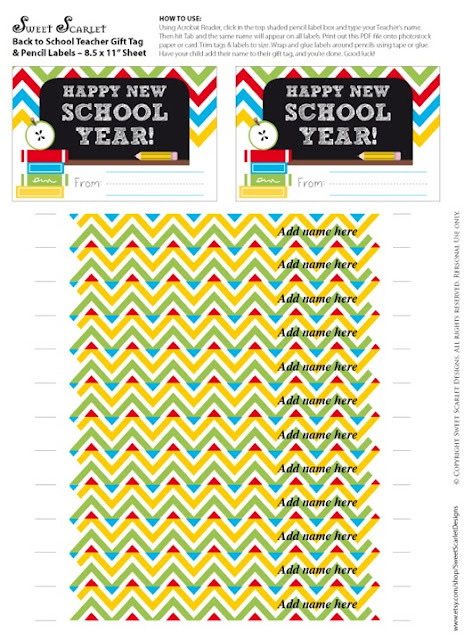 This printable set includes a gift tag, where your child can hand-write their name and editable pencil tags, where you can add your child's teacher's name, so your Teacher will never lose a pencil again! This is both pretty and practical. File is an editable PDF with instructions. 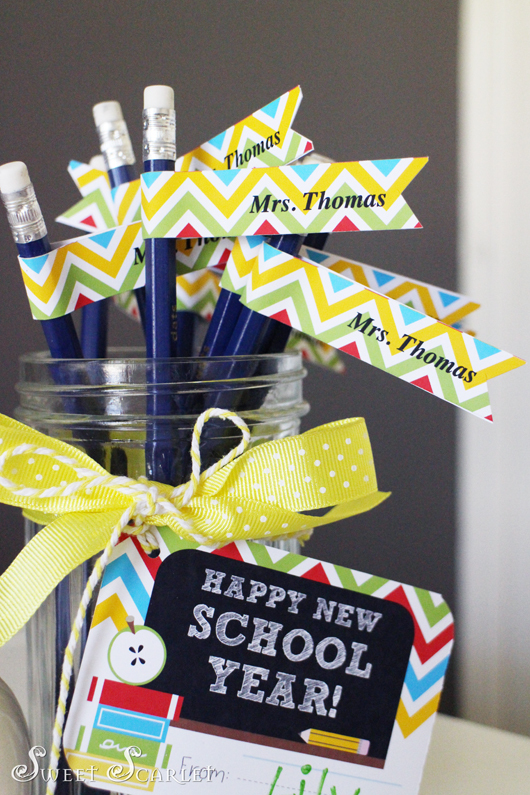 Pencil tags are editable so you can add your Teacher's name. Downlonad FREE Printable via Scribd HERE. It's absolutely adorable, but not at all free. Scribd charges $8 for a one time use! I wish I had the option of paying for the download directly from you.